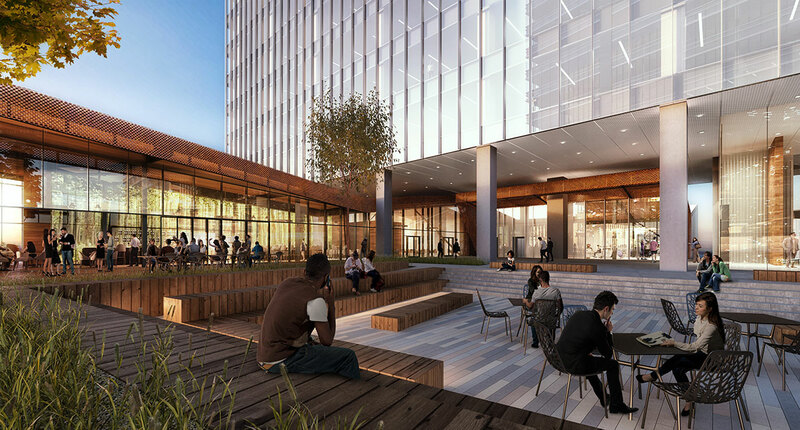 La Jolla Commons III will be a 223,900-square-foot, Class A-plus, vertical office tower in San Diego, California. 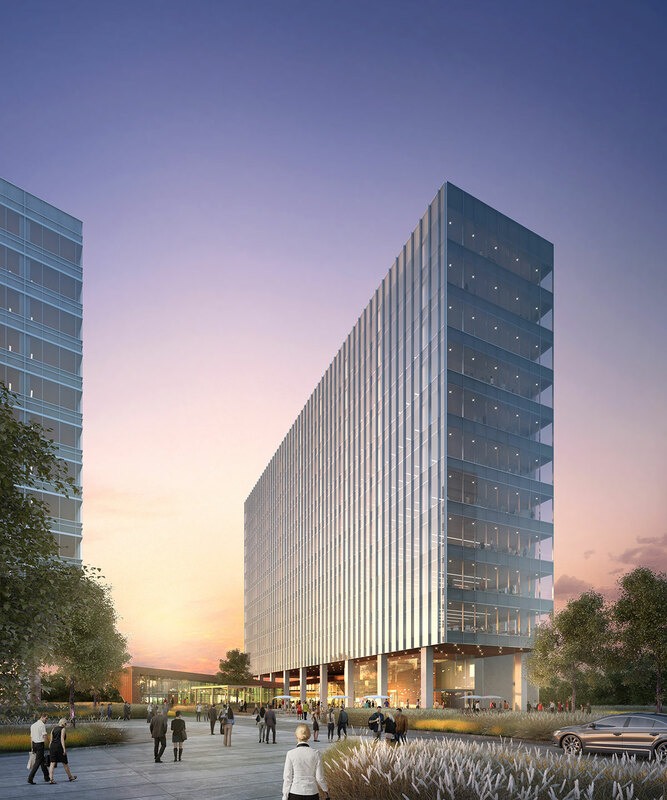 The project is uniquely designed to offer the best of both a vertical tower with expansive views and the most interesting creative office elements. The building features a fully amenitized and activated ground floor. Rather than a sterile, marble lobby, it provides a warm, cozy feel, like a boutique hotel lobby, with a fireplace and comfortable seating. The building’s 14-foot floor-to-floor height can be expanded to create double height (24-foot) ceilings or even triple height in sections of the floor plate to create dramatic open areas that can serve as meeting or gathering space. There’s also a cut-away on the top floor, which can work as a balcony with glass doors, which can be opened on nice days to bring the outdoors inside or provide space for special events. Other amenities include a full-service restaurant and café with fresh, healthy food choices, and a large indoor-outdoor gym with state-of-the-art equipment.